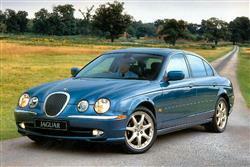 What would Inspector Morse think of the Jaguar S-TYPE? It would certainly appear at home amongst the dreaming spires of Oxford, its elegant curves signalling the perfect old-money ambience, despite being based on the American Lincoln LS platform. Whether the doughty Inspector, Jaguar man that he is, could afford one on his salary is quite another consideration. With used S-TYPE models starting to appear in steady numbers, maybe this could be the best way to get behind the wheel of this remarkable car. It's still not cheap. With residual values outperforming rivals from Germany, an S-TYPE will still require a pretty hefty outlay. The Jaguar S-TYPE was launched in March 1999 to a broadly appreciative press, although its thunder was to a certain extent stolen by the almost simultaneous Rover 75 introduction. Whilst regard for the Rover's styling seems to have diminished over time, the initially underwhelming S-TYPE's design has grown on most observers, it's understated curves lacking the chromium-plated ostentation that would have made it descend into pastiche. There are definite influences from the MkII Jaguar of 1959 around the nose and tail, but the overall effect is subtle. Two different engines were available at launch - a 3.0-litre V6 developing a healthy 240bhp and the familiar 4.0-litre V8 as seen in the XJ8 and XK8 models, generating a lusty 281bhp. With base and SE trim levels and a choice of manual or automatic gearboxes available, the 3.0-litre cars are a more varied proposition than the straight, single model, auto-only 4.0 V8. In 2002, an entry-level 2.5-litre V6 variant was added and the 4.0-litre version replaced by a 4.2-litre model. At the top of the range, a supercharged 4.2-litre S-TYPE R variant became the flagship. The 2.7-litre V6 diesel arrived in mid 2004, following on from a mild facelift a few months earlier. The success of the 2.7-litre diesel powerplant saw the 2.5-litre V6 engine phased out with some high value Plus models used to shift the last few units. The standard S-TYPEs also received the sporty bumper and grille from the S-TYPE R in the spring of 2007. The S-TYPE's reign came to an end in 2008 with the launch of the XF. The S-TYPE offers a viable alternative to the BMW 5 series, and whilst maybe not up to the Bavarian's standards of driving dynamics, certainly offers keen value for money. Opt for the 4.0-litre and you'll find that it comes with Special Equipment trim included - which means that, as with the V6SE, you get leather upholstery, a power sunroof, steering wheel stereo controls, front fog lamps and cruise control amongst other things. Even the entry-level V6, however, comes fully loaded. Expect to find alloy wheels, electric seats, traction control, climate-controlled air conditioning, a trip computer, ABS, twin front and side airbags and a sophisticated security system. No other premium sector rival can match this. Not that Jaguar is against offering a lengthy options list. There is one for the S-TYPE, but it tends to include clever, groundbreaking features. Of these, we've seen some before: a satellite navigation system, rain-sensitive wipers and radar parking control. Automatic transmission customers can also specify the CATS (Computer Active Technology Suspension) adaptive damping system for sportier handling. This can come on its own or as part of a new Sports Pack that also includes special alloys, seats and interior trim. If luxury is a great priority, there's an optional voice activated control system which enables you to given spoken commands to the climate control system, the stereo and the 'phone (which now has an integrated keypad). It also works on the satellite navigation system, which can respond to traffic congestion when calculating your route. You'll also like the little touches like the headlights which turn on automatically. Or the Smart Locking system which makes it impossible to lock your keys in the car. Will you be as impressed by the styling, evocative as it is of the original S-TYPE, produced in the Sixties? It's a subjective thing of course, but most appear to either instantly love it or gradually grow to. Certainly, it makes a distinctive rear view mirror statement - just as designer Geoff Lawson intended. Inside, he's fashioned a typically Jaguar interior embellished with wood veneer. There's comfortable room for four and a 60/40 split-folding rear seat to extend the boot should you need to. There's not a massive amount of design flair about the interior, but it looks quietly classy and appears very well screwed together - an important consideration for the used buyer. With Ford's acting as watchful custodians of the Jaguar brand, the development budgets and depth of engineering are immediately obvious in the S-TYPE. If your last experience with a Jaguar was one of the unlovely XJ40 models from the eighties, then the feel of an S-TYPE may come as a surprise. Only a few details jar, such as the quality of some plastics used in the interior - most notably on the glove box and ashtrays. Check these areas for damage. No major faults have yet to be reported with any of the S-TYPE models, and none should really be expected. If the car you're looking at has been fitted with the optional 17-inch wheels, check them for kerbing damage, as they are prone to this. Otherwise look for a full service history and a spotless interior and exterior. Any small dents, dings, rips or stains will markedly affect the value of most luxury cars and this Jaguar is no exception. (approx based on a 1999 S-TYPE 3.0) Spares fro the S-TYPE are about par for the course for an executive car. Front brake pads are around £50, whilst rears are £40. Expect to have to fork out around £220 for a new clutch assembly and around £520 for a new exhaust system. A replacement headlamp will cost the thick end of £200. Jaguar chassis engineers have a reputation as some of the industry's best and their expertise is immediately apparent in the S-TYPE. Ride quality is class-leading, bumps and ruts barely affecting the car's creamy composure. Opt for the 17-inch wheel option and the amount of thump increases slightly. The steering is a trifle disappointing, being over-assisted on the V6 models, slightly meatier on the V8, but still not as direct and communicative as a BMW 5 series or even an Alfa Romeo 166. The engines are both willing units, the V6 lacking the V8's billowing rush of power, but able to post some impressive figures. The smaller engine isn't class-leading however, lacking neither the character, flexibility nor aural accompaniment of rival's offerings. Nevertheless, as a complete package, the S-TYPE acquits itself really rather well. The combination of styling, quality, composure and power work well enough to make it the second best car in the luxury executive sector behind the BMW 5 series, and even then the differences will come down to personal taste. 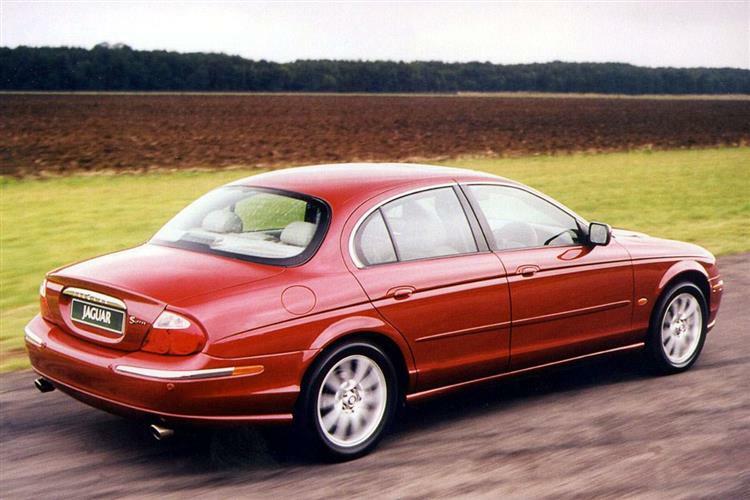 If you're a keen driver, the BMW may be a more obvious choice, but the Jaguar is both playful and accomplished. Some will feel that the S-TYPE's failure to vault to the top of the luxury executive class against rivals at least three years old condemned it to the role of a badge-engineered Ford, the an upscale Scorpio. Try telling that to used buyers. With residual values easily outstripping those of the BMW 5 series and Mercedes E-class, the S-TYPE is a sure-fire used hit. Which also means that if you're expecting them to be languishing at the back of the lot for Mondeo money you're in for a shock. The V6 models, especially in SE trim, appear to be the ones to go for, and should prove to be a canny choice, especially as the older cars already slow depreciation flattens further. Capable of high mileages, the S-TYPE is a British car that needs no apologies, excuses or explanation. A sound used buy.